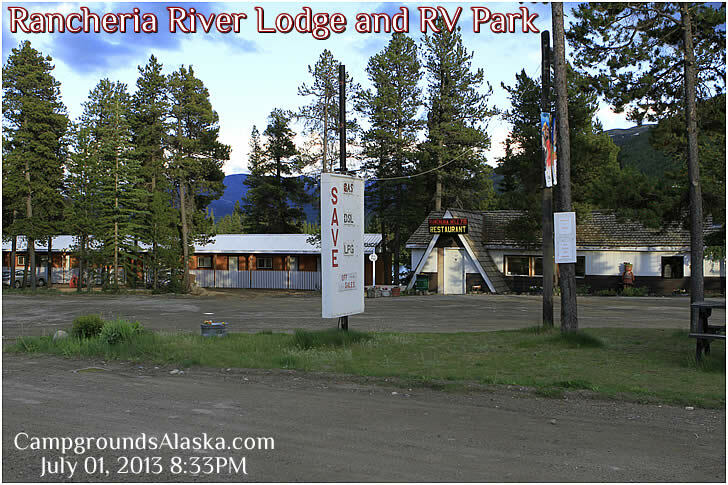 This is my kind of place; Rancheria Lodge, Campground and RV Park on the Alaska Highway. I have long stopped here for food, gas and rest; most of all for I stop for the great company I have found here. The food in the restaurant is first class. Just writing this I can taste those amazing pancakes, eggs, and country hash browns complete with crispy bacon or reindeer sausage. I love a good breakfast and I know this is the place to find it. I ended up sitting in the lounge with the owners and before I knew it the evening was gone and I had failed to take photographs of the campground; oops. The owners of Rancheria River Lodge and RV Park have been really busy in recent months remodeling and updating their lodge and restaurant to better accommodate the needs of travelers. Step inside and you see a very clean and well maintained restaurant with a great lounge on the back side overlooking the lake. Moose are commonly seen in the lake and loons, ducks, geese and swans can also be seen. 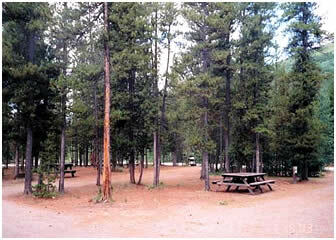 Rancheria RV Park offers very large campsites in this historical Territorial Campground with deep roots in the construction of the Alaska Highway. While you will find electric hookups; septic, and water are still a ways off. The campground was hit by a spring flood that did a lot of damage but the owners are hard at work not only bringing the campground back but making improvements to it too. There are some pretty long pull-through sites to make your stay comfortable and it’s just a short walk from the campground to the lodge for a great meal or a cool afternoon drink. The lounge has satellite TV and a great view of the wilderness out the large picture windows. Rancheria Falls, Alaska Highway, Yukon Territory, Canada is located just up the Alaska Highway from the lodge. The river and plenty of private fishing holes are within a very short distance of the campground and there are a multitude of lakes teaming with fish in every direction. 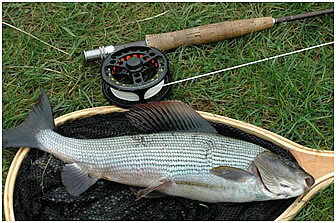 The fishing pressure in this region is very light and thus the fish are hungry, aggressive and very plentiful too. 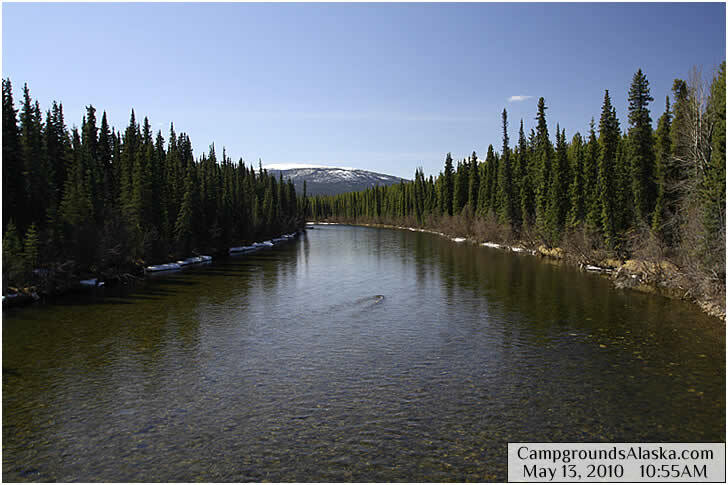 The Rancheria River on the Alaska Highway is well known for fantastic fly fishing; Grayling are the main target but the occasional Bull Trout is also caught and released. I have literally caught hundreds of Grayling in the Rancheria River all up and down along the Alaska Highway. This little river remains one of my favorite fly fishing stops along my travels through the Yukon Territory of Canada.